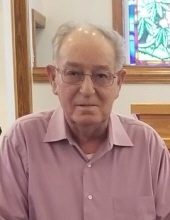 Seven Springs – Walter Daniel Holmes, 76, died late Sunday evening surrounded by his family while being cared for at Kitty Askins Hospice Center. He is survived by his wife of 55 years,Elda Coker Holmes; his two daughters, Belinda Parker and her husband Kay of Mount Olive, and Julie Holmes of Seven Springs, and her significant other Tommy Kornegay of Albertson; his four brothers, Harry “Bud” Holmes and his wife Joyce of Virginia, Keith Westbrook and his wife Alice of Mount Olive, Arnold Flowers and his wife Gloria of Seven Springs, and Russell Teller and his wife Donna of New Jersey. Walter is also survived by his two grandchildren, Nicole Willis and Brandon Parker; and two great-grandchildren, Taylor Theriac and Camden Willis. Walter was preceded in death by his parents; Ben Oliver and Louise Garner Holmes; and a brother, Roy Holmes. Funeral services will be held on Friday, August 10, at 2 o’clock in the afternoon, from the chapel of Tyndall Funeral Home. Pastors Otto Griffin and Jason Watford will officiate the service, with burial following in the Maplewood Cemetery, Mount Olive. The family will receive friends on Thursday evening, from 6-8pm at the funeral home, and at other times at the home of Mrs. Elda Holmes, located on Hwy 55 West, Seven Springs. In Lieu of flowers, the family request memorials be directed to Kitty Askins Hospice Center, 107 Handley Park Court, Goldsboro, NC 27534. To send flowers or a remembrance gift to the family of Walter Daniel Holmes, please visit our Tribute Store. "Email Address" would like to share the life celebration of Walter Daniel Holmes. Click on the "link" to go to share a favorite memory or leave a condolence message for the family.